​You don't have to be a hunter to enjoy the Wings Over The Prairie Festival. The week-long festivities aren't solely for waterfowl enthusiasts. They include plenty of events for sportsmen and athletes who seek other endeavors in World of Sports besides hunting. One of the most popular events, which draws athletes from across the state of Arkansas and the nation, is the annual Baptist-Health Great Duck Race. More than 200 runners compete each year in the 10,000 meter run (6.2 miles). 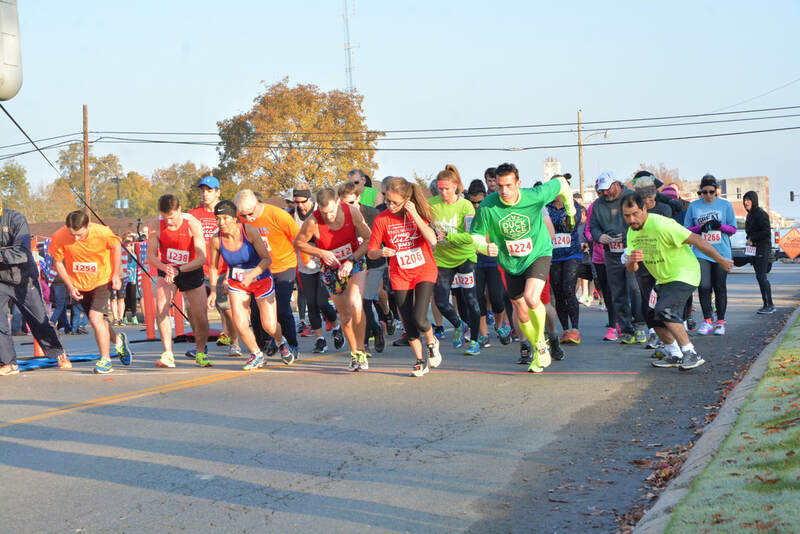 In 2013, a 5k Race was added and has been a popular addition. The event often features some of the state's best distance runners testing a flat and fast course. The Great Duck Race was also recently named one of the top 50 races to attempt in your lifetime! See the complete list by clicking here. Runners can set a blistering pace because the course is so flat. And there is another factor which helps athletes. Since the Baptist-Health Great Duck Race takes place toward the end of November, the weather can be a great asset. The air is usually crisp and cool the morning of the race, giving runners near-perfect weather to cover the 10,000 meters before the finish line. Every runner who enters the Baptist-Health Great Duck Race receives an official race t-shirt. Awards are also given to winners of individual age divisions. The reputation of the race has grown to the point that national corporate sponsors want to be associated with the run. The race takes place at 8 a.m. on the Saturday after Thanksgiving. Runners can register the morning of the race. However, race information is available through the Stuttgart Chamber of Commerce.